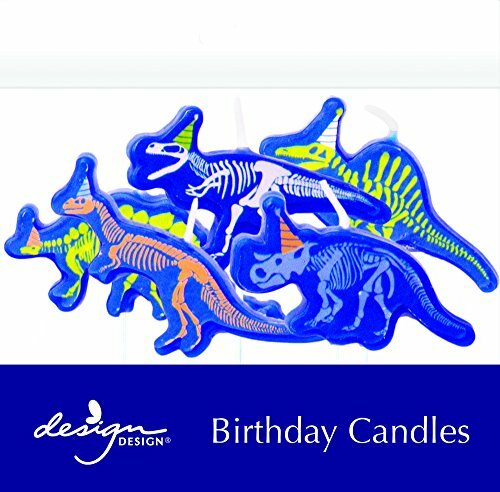 Design Design 758-08917 Dino-Mite Birthday Candles Sculpted, Multicolor by Design Design at WP Ultimate Social. MPN: 758-08917. Hurry! Limited time offer. Offer valid only while supplies last. What could be more fun for a boy's birthday than dinosaur's wearing party hats? these dino-mite candles are sure to make any boy's party dynamite! What could be more fun for a boy's birthday than dinosaur's wearing party hats? these dino-mite candles are sure to make any boy's party dynamite! there are 5 candles per package. Each candle has a different design. View More In Birthday Candles. If you have any questions about this product by Design Design, contact us by completing and submitting the form below. If you are looking for a specif part number, please include it with your message.